Today was the first day of school for my preschooler. Since he attended this preschool one day a week last year, there was no major transitions and not much "new" to worry about. Different kids in his class though which we've talked about a bit (some from last year are in kindergarten, new kids, plus he's there an extra day) and a second teacher. Thank you again and again for allowing me to the mom of this precious boy. He is growing up so fast it takes my breath away! 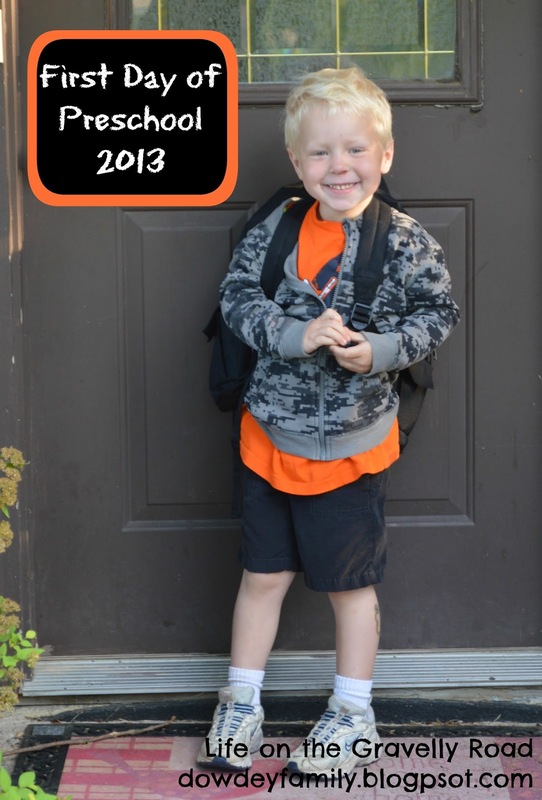 I ask for your blessing on the preschool year ahead of him. You know his journey and what he needs to be ready for. Be there for him when I'm not. Guide his words, actions and interactions so that he may be kind, compassionate and a positive leader now that he's one of the older kids in the class. Bless his teachers with patience, leadership and a faith that is seen by the students. Bless the other students in his class, may there be among them returning friends, new friends, new challenges as they learn to get along,and make fun memories. Grow him into the boy (and young man) you created him to be for your purposes and help me to be the parent I need to be for him for your glory.